Are Publicly Funded Health Databases Geographically Detailed and Timely Enough to Support Patient-Centered Outcomes Research? Emerging health care research paradigms such as comparative effectiveness research (CER), patient-centered outcome research (PCOR), and precision medicine (PM) share one ultimate goal: constructing evidence to provide the right treatment to the right patient at the right time. We argue that to succeed at this goal, it is crucial to have both timely access to individual-level data and fine geographic granularity in the data. Existing data will continue to be an important resource for observational studies as new data sources are developed. 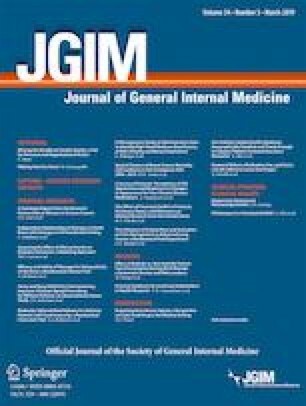 We examined widely used publicly funded health databases and population-based survey systems and found four ways they could be improved to better support the new research paradigms: (1) finer and more consistent geographic granularity, (2) more complete geographic coverage of the US population, (3) shorter time from data collection to data release, and (4) improved environments for restricted data access. We believe that existing data sources, if utilized optimally, and newly developed data infrastructures will both play a key role in expanding our insight into what treatments, at what time, work for each patient. Prior presentations: This paper has not been presented at any previous conferences. The authors wish to thank Daniel A. Waxman, MD, PhD, for his helpful review and comments on the manuscript. This study was funded by contract HHSM-500-2014-00036I (PD Concannon), titled “Evaluation of From Coverage to Care (C2C),” from the Centers for Medicare and Medicaid Services (CMS). The content of this manuscript does not necessarily reflect the views or policies of CMS. The agency had no role in the collection, analysis and interpretation of the findings, or approval of the finished manuscript. PCORnet. PCORnet Data. Available at: http://www.pcornet.org/pcornet-data/. Accessed 10 Oct 2017. Healthcare Cost and Utilization Project. Databases. Available at: https://www.hcup-us.ahrq.gov/databases.jsp. Accessed 10 Oct 2017. Centers for Disease Control and Prevention. NHIS Dataset Documentation. Available at: ftp://ftp.cdc.gov/pub/Health_Statistics/NCHS/Dataset_Documentation/NHIS/2015/. Accessed 10 Oct 2017. Centers for Disease Control and Prevention. Restricted Data. Available at: https://www.cdc.gov/rdc/b1datatype/dt100.htm. Accessed 10 Oct 2017. Centers for Disease Control and Prevention. NAMCS and NHAMCS Restricted Data Available at the NCHS Research Data Center. Available at: http://www.cdc.gov/nchs/data/ahcd/Availability_of_NAMCS_and_NHAMCS_Restricted_Data.pdf. Accessed 10 Oct 2017. Centers for Disease Control and Prevention. Survey Data and Documentation. Available at: https://www.cdc.gov/brfss/data_documentation/index.htm. Accessed 10 Oct 2017. Centers for Disease Control and Prevention. BRFSS State Information. Available at: https://www.cdc.gov/brfss/state_info/index.htm. Accessed 10 Oct 2017. Centers for Medicare and Medicaid Services. Data Documentation and Codebooks. Available at: https://www.cms.gov/Research-Statistics-Data-and-Systems/Research/MCBS/Codebooks.html. Accessed 10 Oct 2017. Research Data Assistance Center. Data File Directory. Available at: https://www.resdac.org/cms-data/file-directory. Accessed 10 Oct 2017. Agency for Healthcare Research and Quality. Download Data Files, Documentation, and Codebooks. Available at: https://meps.ahrq.gov/mepsweb/data_stats/download_data_files.jsp. Accessed 10 Oct 2017. Agency for Healthcare Research and Quality. Research Datasets. Available at: http://www.ahrq.gov/cahps/cahps-database/data-research/index.html. Accessed 10 Oct 2017. All-Payer Claims Database Council. State Data Access. Available at: https://www.apcdcouncil.org/state-data-access. Accessed 10 Oct 2017. Add Health and Carolina Population Center. Documentation. Available at: http://www.cpc.unc.edu/projects/addhealth/documentation. Accessed 10 Oct 2017. National Institute on Aging and the Institute for Social Research at the University of Michigan. Documentation. Available at: https://hrs.isr.umich.edu/documentation. Accessed 10 Oct 2017. The Urban Institute. Health Reform Monitoring Survey (HRMS) Series. Available at: https://www.icpsr.umich.edu/icpsrweb/ICPSR/series/547. Accessed 10 Oct 2017. National Cancer Institute. Documentation for the Data Files. Available at: https://seer.cancer.gov/data/documentation.html. Accessed 10 Oct 2017. Davis JC. RDC Demographic Data. Available at: https://atlantardc.files.wordpress.com/2016/04/davisdemographicdata.pdf. Accessed 10 Oct 2017. Bureau of Labor Statistics. Accessing Data. Available at: https://www.nlsinfo.org/content/getting-started/accessing-data. Accessed 10 Oct 2017. Institute for Social Research at the University of Michigan. Restricted use. Available at: https://simba.isr.umich.edu/restricted/RestrictedUse.aspx. Accessed 10 Oct 2017. Healthcare Cost and Utilization Project. SASD Database Documentation. Available at: https://www.hcup-us.ahrq.gov/db/state/sasddbdocumentation.jsp. Accessed 10 Oct 2017.